About two years ago I made a post (Damsel in Distress) in which I highlighted cultural differences between Western and Japanese audiences. I mentioned Metroid: Other M as an example of a game that was made by a Japanese studio in an attempt to appeal to Japanese audiences, while the Metroid Prime series was developed by a Western studio for a primarily Western audience, which resulted in a pretty heavy culture clash that caused a heavy backlash against Other M. However because I mentioned that I personally didn't hate the game, I occasionally get a couple people who over-zealously insist that my opinion (which I barely elaborated upon anyway) must be wrong*. So let's get into my actual opinion, shall we? 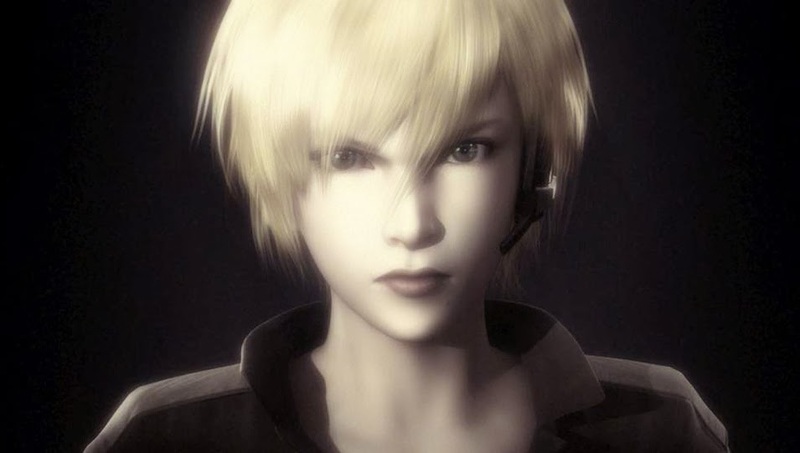 I got Metroid: Other M on release date (September 3, 2010) on a Friday, put it in my Wii and played (with breaks to sleep and eat, of course) until I had finished it the next day. My initial thoughts were that it certainly wasn't as good as Zero Mission or Super Metroid, but I still had more fun with it than the Metroid Prime games (I think the Prime games are better, but they just never really grabbed me as much as the 2D games ever did). A few months later when the backlash against the game flared up (again), I put the game back in my Wii to have another go, with the backlash in mind, and lost another weekend because I still had just as much fun with it. That's not to say it's flawless. Far from it. I just have an appreciation for what it tried to do, even if at certain points it became a bit of a mess because of it. Basically the reasons why I like the game are also the reasons why other people hate it. I appreciate the story as a depressing character study of a completely broken woman in a sci-fi setting where the people act closer to real fallible people who do stupid things rather than characters conforming to our conditioned story expectations and preconceptions. Yes, Samus is acting out-of-character. The events of Super Metroid were clearly the last straw that broke her mental health and by this point she should ideally be in therapy, but instead she continues doing the only thing she knows how to do and by this point she's so much of a legend that nobody even questions whether she's actually still fit to do it. Sure she's badass enough that kicking the crap out of everything that comes her way is intuitive and comes naturally to her, but everything that requires actual cognitive reasoning is way more than she can deal with at this point in time. In light of that, yeah, I can appreciate what Other M was attempting to portray. 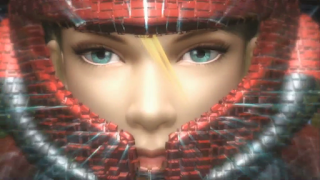 Samus' voice acting is detached because that's where her mental state is. The abusive relationship between Samus and Adam Malkovich becomes the result of Malkovich no longer trusting his former apprentice, and Samus being suicidal enough to try to prove her loyalty even when logically it makes no sense. Her not activating the the Varia Suit until already midway into a lava section can thus be read as both of them testing the other to see who breaks first (which ends up being Malkovich). In her weakened state, the resurrection of her nemesis Ridley momentarily proves to be too much for her to deal with. Yes, he reappeared before but those were during times when Samus was healthy enough to handle it. Revenge on this thing is Samus' entire driving goal, but it just never sticks, and this time that realization hit Samus harder than ever before. Super Metroid left him as dead as he could possibly be, yet even the planet he was on blowing up wasn't enough to permanently end him. So yes, I understand why Samus would momentarily lose it when her personal tormentor shows up again while she's already experiencing a massive mental breakdown (People also tend to forget that the mere seconds of Samus locking up are followed with her trouncing the Ridley clone so badly that it flees in absolute terror). Even some of the plot threads being inadequately resolved and Samus having little impact on them anyway is rather clever in this regard. She has trouble figuring out the identity of the Deleter because her mental faculties aren't as sharp as they usually are. It highlights how much Samus just shouldn't be there in the first place. The entire Bottle Ship mission is Samus going through the motions, suicidally trying to cling to a sense of normalcy, even though any reasonable neutral observer would quickly determine she should be in therapy following the events of Super Metroid. The problem I've seen with many people poking holes in the game's story is that most of them try to analyse the events from a narrative perspective where everything has to make perfect logical sense in relation to the story, as they've been conditioned to do through a lifetime of consuming media (Tvtropes calls this "Reality Is Unrealistic"), whereas Other M takes the uncharacteristic approach of showing failing mental health in a more realistic (and thus unpredictable) fashion with plot-consistency as subservient to that. In reality, PTSD triggers aren't constant and predictable. People do act irrationally under stress (stress sometimes not even required). Subplots like The Deleter in reality would probably play out anticlimactically and confusing as it did in the game. As such you aren't going to convince someone making the PTSD-argument by repeating arguments like "but she fought Ridley several times before" because both parties view those events through a different lens. It's a pointless back-and-forth. In short, the way I see it, the series goes from Metroid (Zero Mission) to Super Metroid (Fusion taking place when she pulled herself back together). 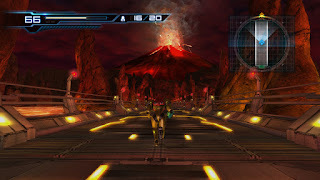 Metroid: Other M takes place after the series proper, deconstructs the formula and shows the damage of what their events inflicted on Samus' psyche and the result is not pretty. Or if you want me to put it another way, I view Metroid: Other M as if they made a Fight Club featuring Samus Aran. And that's why I don't mind Metroid: Other M as much as most people do. It's not entirely executed well and it plays rather loose with continuity, but I understand what they were going for. I also simply don't think of Other M as Samus' definitive characterization. It's the tragedy of Samus Aran at her absolute lowest point continuing what she feels she's supposed to do even though it's borderline suicidal and endangering others. That doesn't ruin her character for me. In fact it improves her character because rather than the emotionless robot she's usually portrayed as in the Metroid games, I now appreciate how much pure willpower was really driving her and keeping her together all this time. Personally I think a worse issue than the story is how linear the gameplay ended up being compared to Zero Mission (which I played about 10 times in a single week when I first got it just to try to improve on my time) whereas so far I only completed Other M thrice in the 5 years since release. It's just not as much fun to try to speedrun. *Seriously guys, it's been 5 bloody years. Get over it.